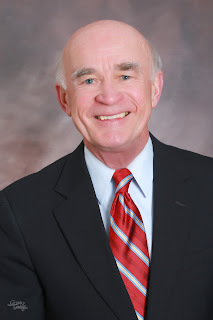 Hadley served the Spokane region for 21 years as head of Greater Spokane Incorporated (GSI), the Spokane region’s Chamber of Commerce and economic development organization. Before that, he led chambers in Kalispell, Mont., Boulder, Colo., and St. Paul, Minn. His ties to Whitworth began when he and Bill Robinson forged a close friendship as Robinson began his Whitworth presidency and Hadley began his leadership duties with the chamber, both on July 1, 1993. Hadley retired as president and CEO of GSI in May 2014, and was recognized that month by the Association of Washington Business with its highest award for his many years of service and leadership. Hadley was also inducted into the Junior Achievement Business Hall of Fame that same spring. In August 2014, he received the highest honor in the chamber of commerce profession, when the American Chamber of Commerce presented him with its Life Member Award to recognize his decades of management excellence, community leadership and unselfish commitment to the betterment of the industry. In September 2014, Hadley was tapped by Governor Jay Inslee to lead the Washington Military Alliance – a coalition that was set up to prepare for cuts in the nation's defense budget and protect the state's military assets. Over the years, he has also served as chair of the American Chamber of Commerce Executives, and as a board member of the Spokane Area Workforce Development Council, Washington Chamber of Commerce Executives and the Association of Washington Business. "When one considers the successes of our region over the past two decades, Rich Hadley's name has to be mentioned as one of the key leaders responsible for Spokane's progress,” says President Beck A. Taylor. “Rich's leadership was critical at a time when Spokane was re-envisioning its future in business, education and government. On top of that, Rich has been a huge supporter of Whitworth and its important role in the community." The Hadleys have two children. Their son, Jeremy, received a marketing degree from the University of St. Thomas and works in the music and hospitality industry in Portland. Their daughter, Brittany, received her master's degree from Washington State University, married Whitworth alum Jordan Marshall in July 2015, and works at Inland Northwest Health Services in Spokane. The senior Hadleys attend Whitworth Community Presbyterian Church.